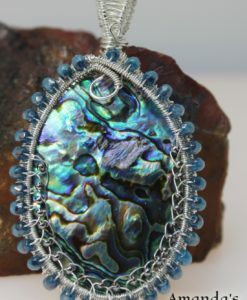 Did you know the color of an abalone shell depends on the food the mollusk eats? 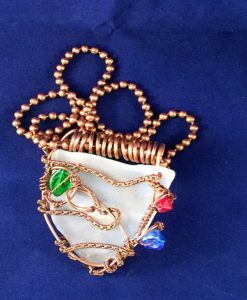 The inner lining of the shell is made of the same materials that pearls are made of. 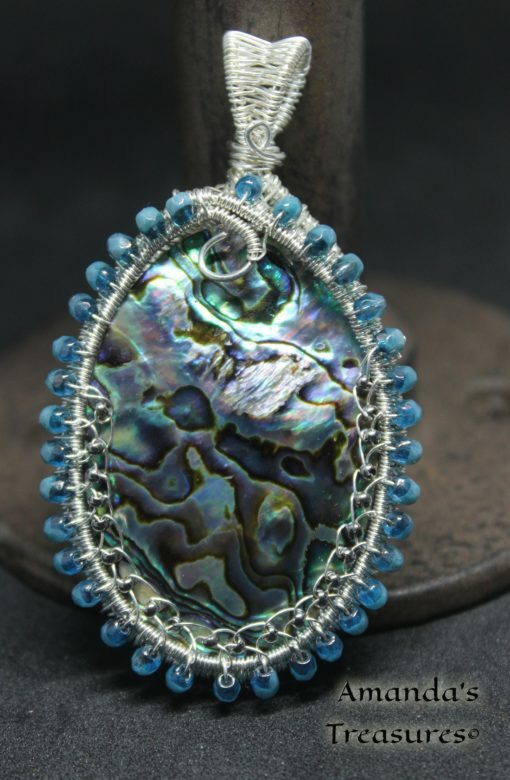 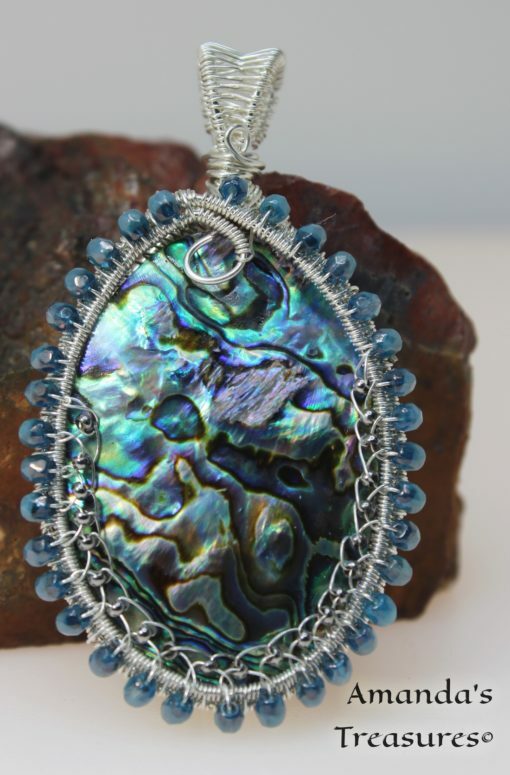 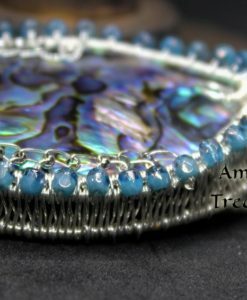 This abalone cabochon is 45 millimeters in height – definitely makes a bold statement. The colors in this polished, heirloom-quality piece – green, blue, purple and light pink – are mesmerizing. 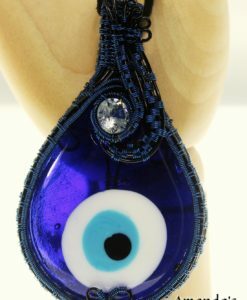 Woven into the frame of the pendant are vintage faceted Czech beads (from the Czech Republic, circa 1940-1950) that compliment the colors splendidly. 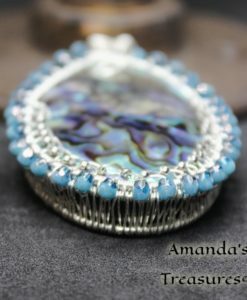 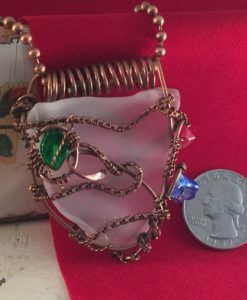 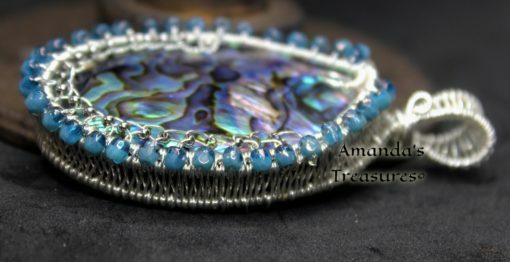 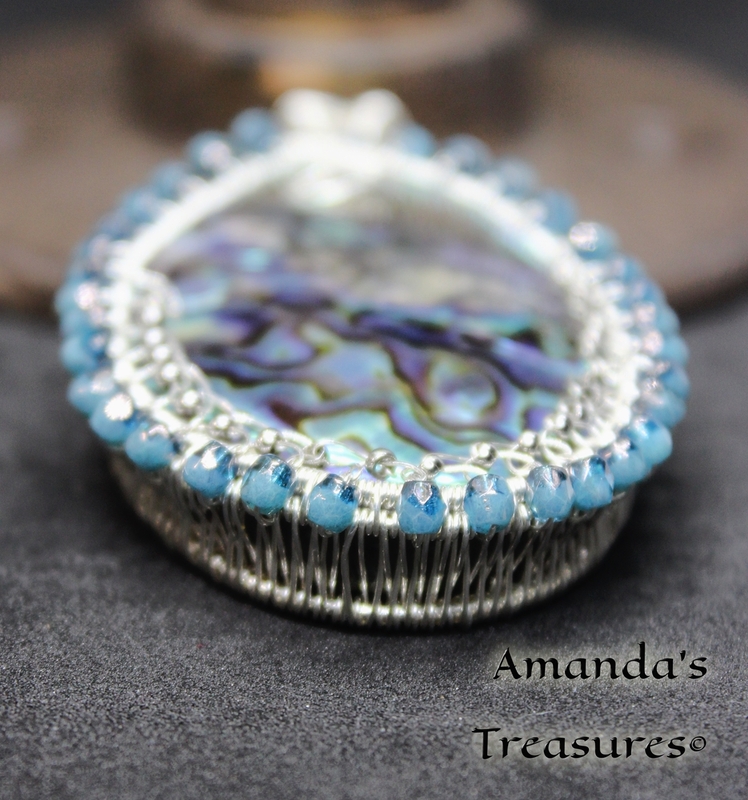 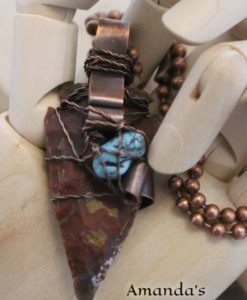 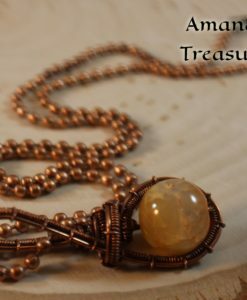 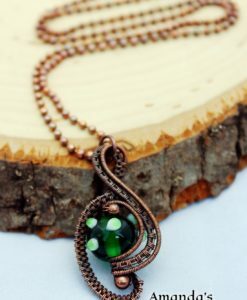 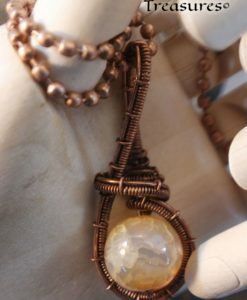 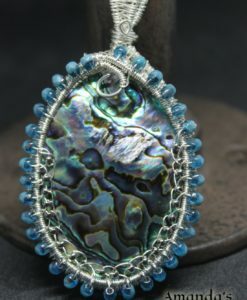 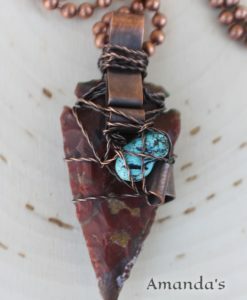 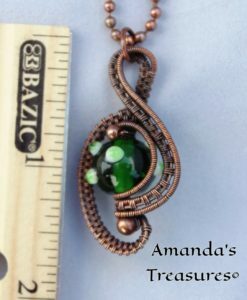 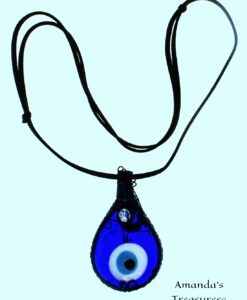 The entire pendant is wrapped in sterling silver with love and dedication by Amanda’s Treasures.